The quote above (made by myself on my Facebook wall last Friday, is a typical attempt to recall the recent events one has encountered when playing through the main story of Retro City Rampage : DX. The game moves at 1000 miles per second, showering you with a constant stream of iconic references. Luckily, for anyone like myself who grew up in the late 1980s/early 1990s, these references will be all too familiar, as they were all chosen specially so as to form something that succeeds in serving as the ultimate pop culture fusion of the 8 bit era! Also renowned for it’s sandbox style of gaming, this indie title is one of the latest titles available the Nintendo 3DS eShop. 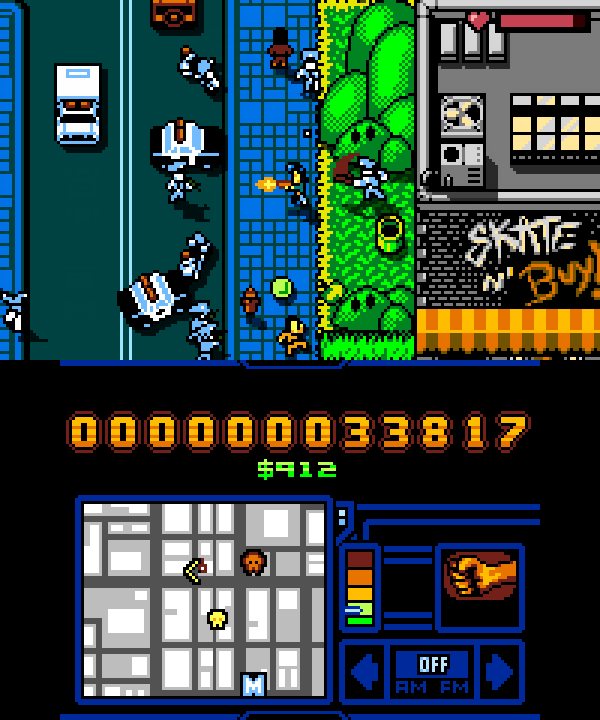 The game began life in 2002 as a homebrew NES game (a homage to Grand Theft Auto 3 known as ‘Grand Theftendo’). 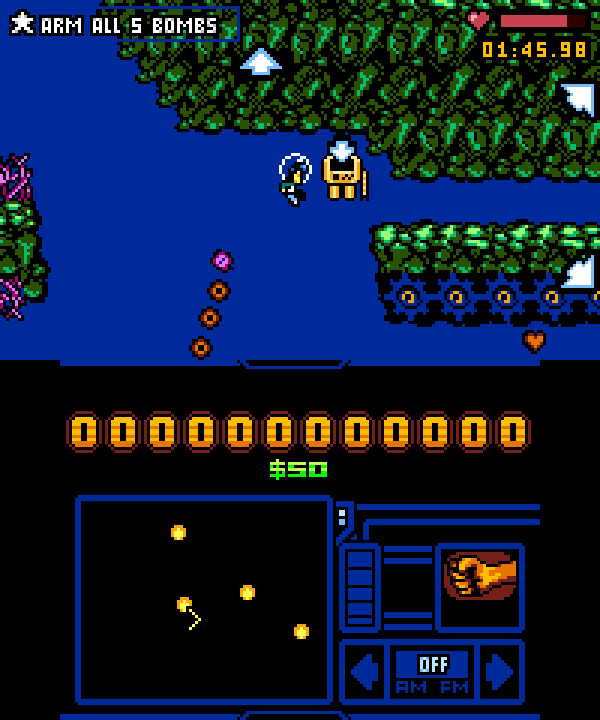 Over the course of several years developer Brian Provinciano changed and elevated the direction of the project, deciding to turn it into a completely original game plus migrate it to the PC (hence overcoming the limitations posed by NES hardware). Aside from the 3DS it is also available on the Nintendo Wii, Xbox 360, Playstation 3 and Vita and Microsoft Windows. 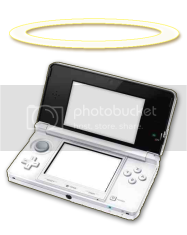 The 3DS incarnation of this popular title brings with it a whole host of improvements to the original game. Among these are the fact that every mission has been remastered, the arcade challenges have been tweaked, there is a shiny new user interface and vehicle sprites are now animated. The minigames (which include Virtual Meat Boy, from the makers of Super Meat Boy, and BIT.TRIP: Retro City from the creators of the Bit Trip franchise) have all been reformatted specially for the 3DS and, making use of the console’s touch screen, an interactive touch map has been added, plus the ability to change weapons using your stylus. So as not to be exhaustive I won’t list every change that’s been made for the 3DS incarnation of Retro City Rampage (although you’re welcome to check these out here), but I will add that, in addition to what’s been mentioned this version also features the 16 months worth of updates that have taken affect since the game was first released in 2012. 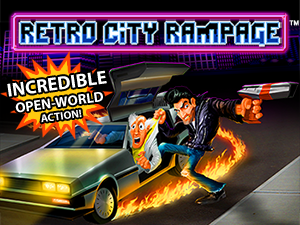 It is, thus, the most complete version of Retro City Rampage available at this time. 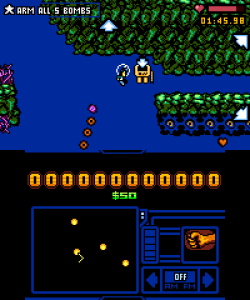 The gameplay consists of a surprisingly wide mix of ways to play. As you might expect, the most predominant form of play in missions consists of typical Grand Theft Auto fare ; driving a vehicle from A to B, shooting up a bunch of baddies, stealing vehicles and items etc. But there’s also collecting to be done, as well as throwing, and some very entertaining 2D platform levels! Perhaps the most shocking for me was the recreation of the evil underwater level from the Teenage Mutant Ninja Turtles NES game, which had me cursing the name Brian Provinciano! There’s also a level where you play as what appears to be a balding man in a pink outfit by the name of ‘Ms. Bates’. Ms Bates’ special move is ‘Sweat Bombing’, an explosive jump ‘she’ makes (of increased height to that of the character you usually play as) which has the added effect of damaging Ms Bates’ surroundings. It’s a pretty fun level truth be told, especially because Ms Bates has Sonic-style invincibility stars trailing behind her as she executes this move. Unashamedly, the story is a comedy to it’s core. It’s not dissimilar to the kind of tale you would encounter in a Grand Theft Auto game, but it is shallower (by design) and will throw jokes at you a great deal more frequently. It’s also, believe it or not, more risqué than any Grand Theft Auto plot I’ve come across thus far (yes, even more so than GTA5!) Along with the aforementioned example of the protagonist Player telling Kelly Kapowski to get a DNA test (which he accompanied by announcing he was ‘no baby daddy’) are a host of tasks of questionable moral standing. In one you drive around throwing homeless people in a dumpster (‘taking out the trash’), in another : you catch corpses which are being thrown out the window of a retirement home and use them to exorcise a car (a good example of the game’s surreal humour). Perhaps the most controversial element of this game is the fact it regularly encourages you to mow down innocent pedestrians. But the game can get away with doing these things because it doesn’t take itself seriously for a second. Don’t make the mistake of being put off this game because of it’s 8 bit graphics, because the attention to detail demonstrated here is of such a high standard it will boggle your mind. To use one example let’s talk about the aforementioned innocent pedestrians,. You’ll see countless kinds of little people walking around, some with such distinguishable features as cowboy hats or afros, others without. I’ve finished the game and I’m still spotting little characters I’ve never noticed before! Yes this game offers a spectrum of visuals so vast it’s almost alien to other 8 bit titles in every sense other than palette and resolution. To create the game’s soundtrack Brian brought in composers Freaky DNA, virt and Norrin Radd, a team with an impressive history of video game music composition between them. Freaky DNA has, for example, worked on the likes of NHL 11 and Need for Speed : Hot Pursuit, while virt has written tracks for official Contra and Teenage Mutant Ninja Turtles titles. Brining in such a prestigious team really paid off, for what you have here is perhaps the greatest chiptune soundtrack ever made (which is further elevated by the fact you can choose what you listen to via the GTA-style radio tuner). Quality is consistent across the board, but I must admit that my personal favourites are ’03 : Bogus Beats FM’, ’07 : Mixtape 1530’ and ’11 : Pulsewave’. ‘Checksum FM’ also has a special place in my heart. In conclusion Retro City Rampage is a deep and incredible experience that succeeds in filling the sandbox genre vacuum that exists in the 3DS’ library currently as Rockstar have yet to grace it with a title. Currently just £8 on eShop (a price that includes all future updates of the title for free) this long and varied title represents excellent value for money. That it is gorgeous, both visually and in the audio realm, further exasperate this. If you are a sandbox game fan/someone who grew up in the late 80s or early 90s/simply someone with a dark sense of humour : you owe it to yourself to get hold of this gem. Oh cool! Did you use Ali Han’s Cloudy theme design too? When I saw it I couldn’t believe it, it was exactly what I envisaged the site to look like!